Efi Cohen - A graduate of the computer science department who recently sold his start-up company Datorama to Salesforce. Click here for his video! Dor Bar-Oz loved playing in his band in high school, but was not as enamored of academics. "I wasn't interested in learning in high school and the feeling was mutual." The school did not have high expectations for Bar-Oz, and he was placed in a low-level class and barely managed to graduate. He was therefore unprepared for the rigorous college application process and was turned down by his first-choice university. Dor's girlfriend suggested that he try the Open University. Although he had a rocky start, Bar-Oz responded to the challenging OUI program and soon was receiving scores of 98. A whole new world opened up to him, as he quickly assumed a full course load with outstanding results. 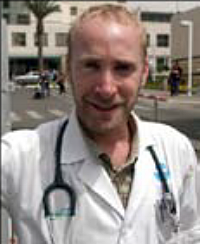 Bar-Oz graduated and was accepted to Tel Aviv University's Medical School. Today Dor Bar-Oz is a dedicated physician. Rivka Ravitz grew up in an ultra-Orthodox family, and attended a school where matriculation was not offered. Ambitious and talented, but also pragmatic, Rivka realized that employment and advancement in the public sector required a bachelor's degree. College life is frowned upon in her social circles, so a "regular" university was not an option. Determined to succeed professionally without compromising her ultra-Orthodox lifestyle, Rivka found the perfect solution at the Open University, where the independent-studies programs suited her needs. Rivka completed a bachelor's degree in computer science. At the same time, she rose in the ranks of employment to become the director of the Office of the Speaker of the Knesset - all while raising nine children and teaching at a Jerusalem college. 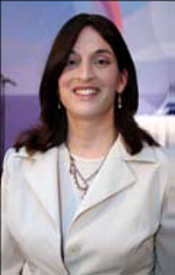 Rivka went on to complete an MBA (and had a tenth child). Rivka acknowledges that "for the knowledge we have acquired and the accomplishments we have attained, we graduates owe a debt of deepest gratitude to the Open University. Thank you for accepting us in the most 'open' way." Professor David Levi Faur began his academic studies while completing his military service. After earning his bachelor's and master's degrees at the Open University, he went on to earn a doctorate, after which he served as a research assistant at the Open University. Post-doctorate work at the London School of Economics and Berkeley was followed by research at Oxford University. Professor Faur is a highly regarded international expert in regulation and governance and serves as founder and chairman of a European research group on regulatory governance. "I think the Open University is one of the finest institutions in Israel. If not for the opportunity that the Open University granted me to study towards a bachelor's degree during my military service...I doubt if I would have been able to become a researcher and faculty member in the academic world at all, and would certainly not have been able to pursue an international career." Ahmad Mahajna dreamed of acquiring a bachelor's degree, recognizing it as the ticket that could help him transcend the cycle of poverty in which he was raised. His father was illiterate, and with 16 children to fee had no spare funds for education. Ahmad's only option was to work full time while studying. He got an entry-level job at a bank while studying at the Open University. The flexibility of the OUI allowed him to take periodic breaks from his studies when necessary to fulfill personal obligations. It took Ahmad a number of years to achieve his first dream, and other members of his community followed his progress with interest. Ahmad pursued an MBA at the Open University while working his way up in the bank. Today Ahmad is a Bank Manager of Bank Hapoalim in Umm el-Fahm. 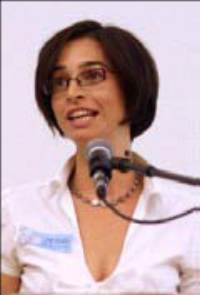 Keren Cohen-Gat served as the Consul of Israel in Finland and Estonia during most of her degree studies. Even with a demanding senior management position, she completed an MBA through the Open University distance learning program. She says "I did most of my MBA program abroad as Consul of Israel in Finland and Estonia. The job as representative of the State of Israel was intensive and total. There were many very pressured and stormy times, but my MBA studies were challenging and exciting; they gave me important management skills that helped me at work." The ability to study via distance learning gives Israelis serving their country in 60 countries worldwide the option of obtaining a degree. Using the latest technologies and textbooks while maintaining e-mail contact with tutors in Israel, students can pursue degree programs from afar. Some actually move from one post to another around the world in Israeli embassies and other institutions, without missing a moment of their study programs. Golan Biton went from being a lost kid on the streets to becoming a role model for neighborhood youth. Who would have believed that the child who wandered the streets of his troubled neighborhood instead of going to school would eventually earn a university degree? "I grew up in Kiryat Moshe in Rehovot. I didn't attend classes, stayed out late at night and nobody told me to do otherwise. I was one of six kids and my parents didn't encourage me to get an education. There came a stage when I had to decide what to do with my life and take responsibility for my destiny. I understood that I needed an education. I got to the army and they helped me finish my high school studies. That was a turning point but I couldn't get into a university with that. My great dream was to get a university degree. Fortunately I started studying at the Open University and was rewarded with the help of angels. I felt that God touched me and gave me the energy and the belief so that I could do something with my life. It opened the door to a better future. The Open University is for me a holy place that saved my life. Today I am the Director of the local community center; I am a role model, helping local kids make something of themselves."